Tell a story worthy of Rudolph and Frosty with this creative holiday prompt. A reindeer, a candy cane and a snowman all band together for an adventure -- where are they going? How will they save Christmas? You decide! Can you smell the Christmas cookies in the oven? 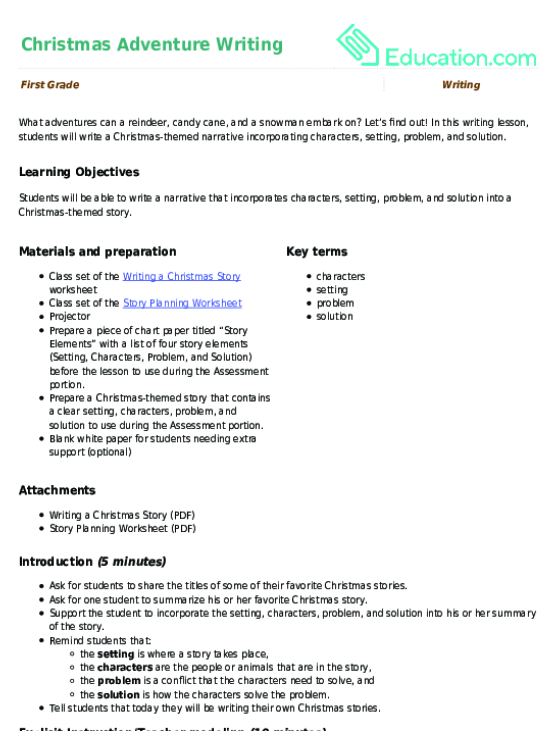 Warm up your child's writing skills with this Christmas cookies writing prompt. Can you tell this elephant's story? Give your child a head start writing a creative story with this fun coloring page, and let his imagination do the rest! This deer is a disaster, but how will his story end? Give your child a head start writing a creative story with this fun coloring page! What a silly sea lion! Can you tell his story? Give your child a head start writing a creative story with this fun coloring page!